Half a dozen years ago, anthropologist Gabriella Coleman set out to study the rise of this global phenomenon just as some of its members were turning to political protest and dangerous disruption. 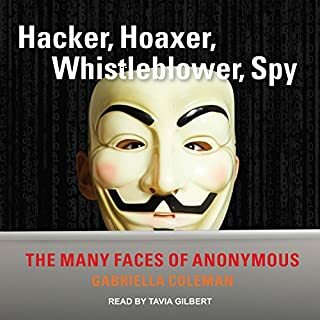 She ended up becoming so closely connected to Anonymous that the tricky story of her inside-outside status as Anon confidante, interpreter, and erstwhile mouthpiece forms one of the themes of this witty and entirely engrossing book. We Are Anonymous is a thrilling, exclusive expose of the hacker collectives Anonymous and LulzSec. In late 2010, thousands of hacktivists joined a mass digital assault by Anonymous on the websites of VISA, MasterCard, and PayPal to protest their treatment of WikiLeaks. Splinter groups then infiltrated the networks of totalitarian governments in Libya and Tunisia, and an elite team of six people calling themselves LulzSec attacked the FBI, CIA, and Sony. They were flippant and taunting, grabbed headlines, and amassed more than a quarter of a million Twitter followers. The computer security world - and world at large - realized quickly that Anonymous and its splinter groups are something to treat with dead seriousness. Through the stories of three key members, We Are Anonymous offers a gripping, adrenaline-fueled narrative in the style of The Accidental Billionaires, drawing upon hundreds of conversations with the members themselves, including exclusive interviews. By coming to know them - their childhoods, families, and personal demons - we come to know the human side of their virtual exploits, and why they're so passionate about disrupting the Internet's frontiers. 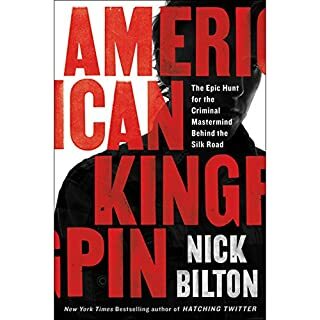 It's a fast-paced, detailed description of an interesting phenomenon that morphed so quickly the news was (and possibly still is) far behind the truth. It is written to be "thrilling" but there is also enough meat to keep it from being mindless. The mispronunciation of numerous words combined with the inconsistent, fake accents almost ruined this book for me. Awesome book. Felt like a hacker fiction novel! I was blown away by how exciting the author made this story. It's a fascinating look into the underground hacker culture and a wake up call to anyone who hasn't paid much attention to computer security in the past. You'll learn about the basic methods hackers use, including technical hacks and social engineering. The narrator does a wonderful job adding life to the dialogue and uses different voices for each character when reading chat logs and interview quotes. I almost felt like I was listening to a Stieg Larsson book. 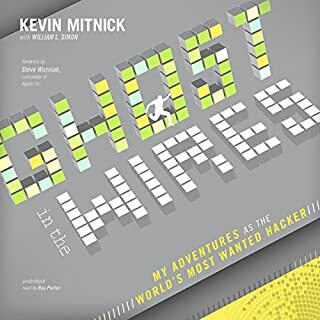 If you're at all interested in hackers or how a couple kids from different sides of the planet can take down the websites of massive corporations, get this book! Who would you have cast as narrator instead of Abby Craden? Anyone who didn't try to use ridiculous accents. The character who is supposed to be Scottish got a Liverpool accent. The guy from the Lower East side of Manhattan (of Puerto Rican heritage) got a strange mix of Eastern European and Latin accents. It was painful to listen to. I was interested in reading about Anonymous because it's a subject that we need to understand in the modern, internet dependent world. What I realized early on is that the majority of these "cyber hacks" (I won't glorify them by calling them "terrorists") are a bunch of anti-socials with physical defects that force them to spend the majority of their time in their rooms with their computers because they can't "make it" out in society. Anonymous and movements like theirs are literally culminated in online chat rooms. I was sort of hoping to find that they were a group of geniuses who had honorable goals, and used their technical knowledge to change the world. But alas, they are no more than ultra geeks with nothing better to do, and are looking for some kicks in between playing online video games. The narrator used various voices with a wide range of accents when speaking what a character would say. It was distracting and frustrating, taking away from being absorbed into the story. Just narrate the book, do not turn it into a play. If you could sum up We Are Anonymous in three words, what would they be? 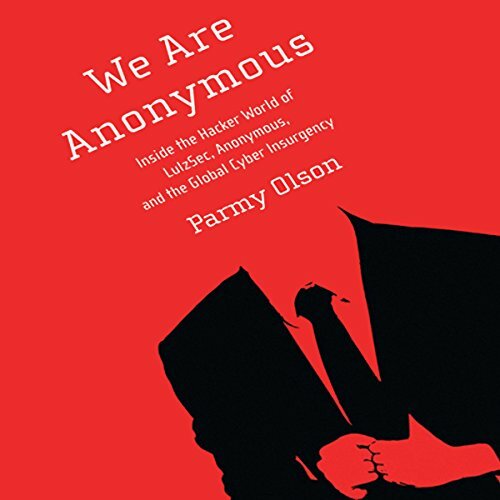 Parmy Olson does an excellent job of wading into the shady world of anon and lulzsec - there are plenty of flaws, however, it is definitely worth the time and far better than I anticipated. The narrator, Abby Craden, on the other hand, is awful. She finishes every sentence with an affected, snide lilt and she mispronounces words on a regular basis. The worst distraction, however, are the array of dreadful accents she employs to differentiate the characters. It just about ruins the story. A fascinating tale, although written perhaps a little too breathlessly (there are lots of moments where the author goes into the moment and semi-fictionalizes what people were feeling or thought, which feel unfactual). In addition the voice actor performing the book tends to use put-on accents (southern, British, etc) that are really quite bad,. Would prefer if she'd just read it straight. Still, on the whole, the book tells a interesting and rounded story and its sense of research is to be commended. Would recommend. Parmy Olson provides an incredibly close up and detailed view into these very specific hacker groups. She illuminates the personalities, strategies, tactics and targets involved. Solid narration too. The narration of this book is just atrocious. Faking accents in a nonfiction book is unnecessary and the correct pronunciation of words like "Linux" and other terms relating to technology and the internet should be a requirement for narrating books like this. Especially when you have a book where most of the audience knows the correct wording of phrases and pronunciation of these terms. So all in all: compelling content let down by irritating narration. The narrator was very good except when she performed the characters of the book speaking with accents. The accents were very bad and really made this book a difficult to listen to. Other than the accents, her narration was good. Also, it's difficult to listen to someone mispronounce Linux over and over again in a book meant for a computer savvy audience. 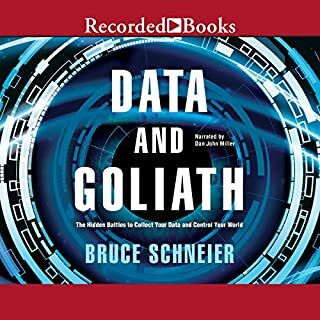 Just finished listening to this audio book. I found it a well written, fast paced and exciting read. 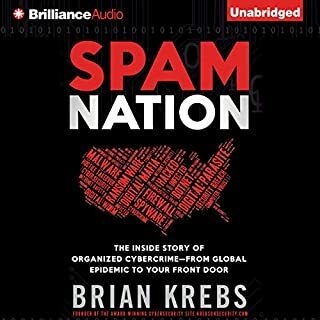 While I haven't been involved in this specific area in my career, this book helped me connect the dots about much that has happened in the news over the past few years. Those of you here in this group that are deeply entrenched in this space may be well informed. 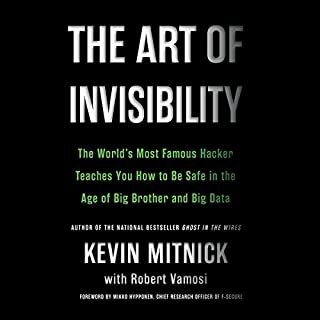 If you are new to this area, this book is an excellent and gripping primer on what is relevant about hacking and the many breaches published over the past few years. I very much recommend this as an excellent listen!